Starlight, starbright, first star I see tonight. I wish I may, I wish I might, have the wish I wish tonight. When your wish is that all of her wishes come true, this is the perfect gift. 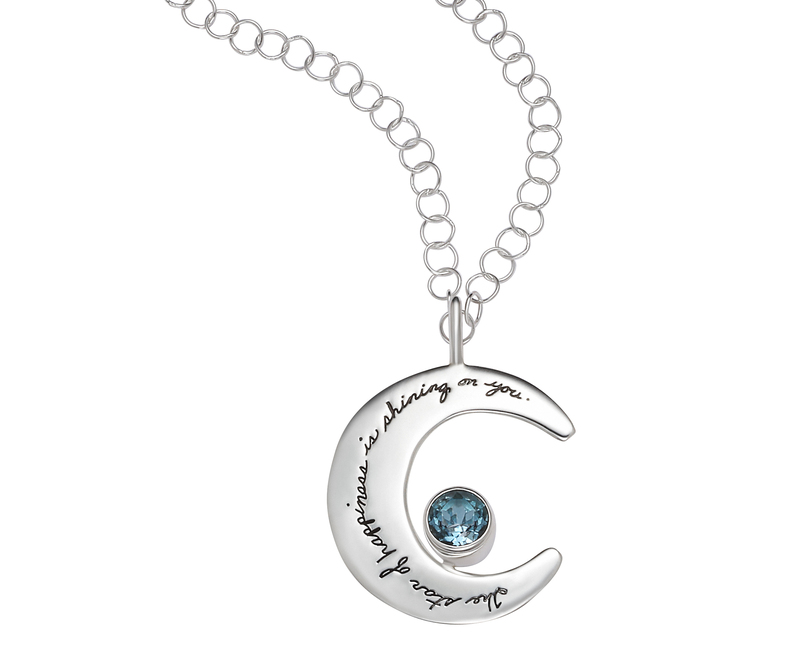 A hand-engraved crescent moon holds a shining blue topaz, which represents love and loyalty. Some believe Blue Topaz connects the wearer to healing energies that bring joy, abundance, and good health. 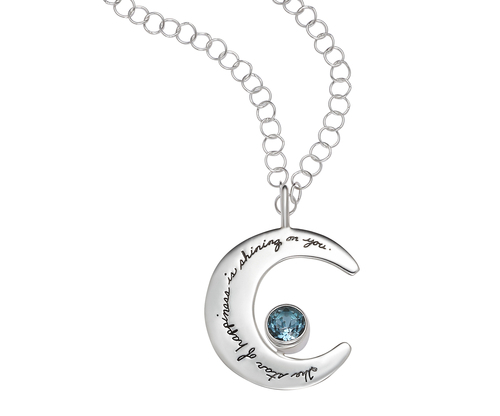 Whether it’s a graduation, a birthday, or just because, anyone who receives this pendant will light up like a star-filled sky.